It is a popular time to update and redesign the rooms we use the most in the home. 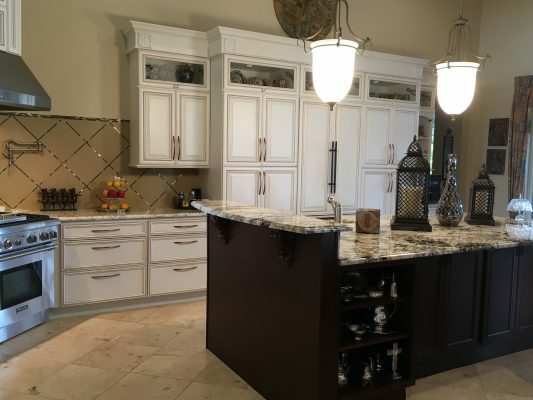 There are so many ways one can design a kitchen remodeling project, and it should be about customizing to facilitate the homeowner’s lifestyle for greater enjoyment. 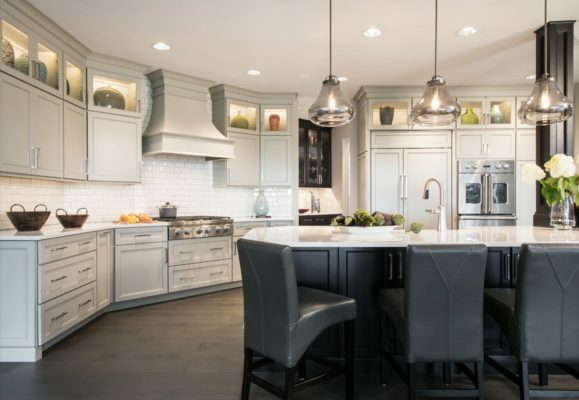 It is good to know the top kitchen remodeling design trends to help keep your home “in style” for a longer period, as well as increase the value of the home when it is time to sell. 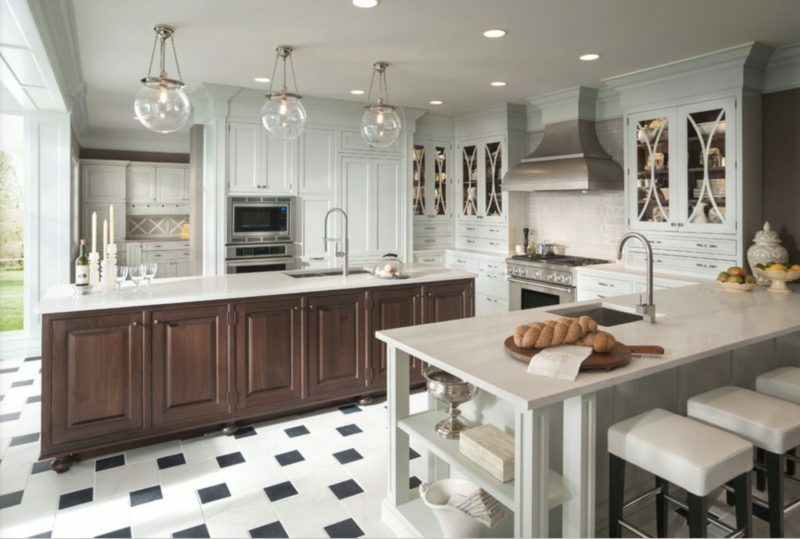 Each year the National Kitchen & Bath Association surveys its members as to what products, materials, and colors are currently being specified in kitchen remodeling projects. In conjunction with local popular kitchen remodeling choices, these are the top ten kitchen remodeling trends we are seeing in 2017. Transitional Style kitchen remodeling design is preferred with clean lines and simpler door styles, paneled energy efficient refrigerator and dishwasher, and under cabinet LED lighting. Contemporary style kitchens are next in popularity, just edging out Traditional style kitchens into third place. Two-toned or tuxedo kitchens using painted white cabinets and wood stain cabinet, and growing in popularity are gray with black or blue painted cabinets for accent. Furniture-look pieces to tie the look of the kitchen with the rest of the house. Quartz is the most preferred countertop material, with granite in second place and trending down. To help speed up meal preparation homeowners are choosing induction cooktops and convention ovens. Steam ovens are also being included as more people are into healthier eating. 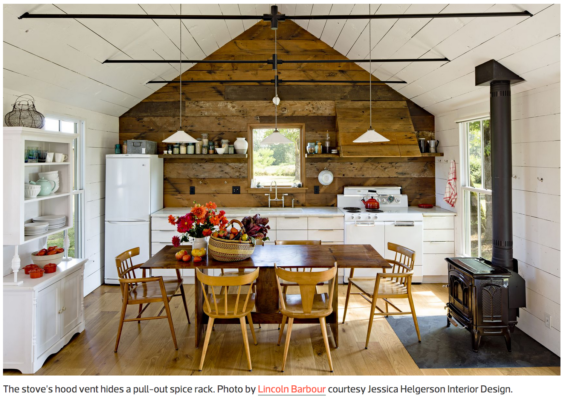 Mixed use of materials, such as inclusion of metal (countertop section or cabinet doors), as well as using rustic or reclaimed wood are bringing in new textures and visual interest. Use of interior barn doors to close off the open space, and moveable glass walls to open up to outdoor space give great options for creating the desired environment. Homeowners are using more internet connected “smart” appliances, and planning for more integrated product controls, e.g. programmed lights activated via electronic device. There is an Increase in use of more accessible or universal design elements for greater aging in place such as having a raised dishwasher, roll out drawers and shelves in cabinets. The kitchen tends to be where everyone gravitates to, and is the main stage for the home. Make yours be a reflection of you!